Rest In Peace Brother. We will hold the line from here. Prayers for your family and brothers and sisters in blue. I am always saddened when an officer is lost, and even more saddened when it's in my neck of the woods. Rest in peace Trooper, may your leagacy live on. RIP officer. Prayers to your blood, love and blue families! May God welcome you to his table with your brothers and sisters how have gone before. RIP my brother. May God comfort and bless your family Corporal Groves. I pray everyday that our men and women go home at the end of their shift. Regardless of the circumstances I am saddened that you did not make it home. God bless our family with the Colorado State Patrol. Bless your soul. Thank you for protecting Gods people!! Rest In Peace my brother. 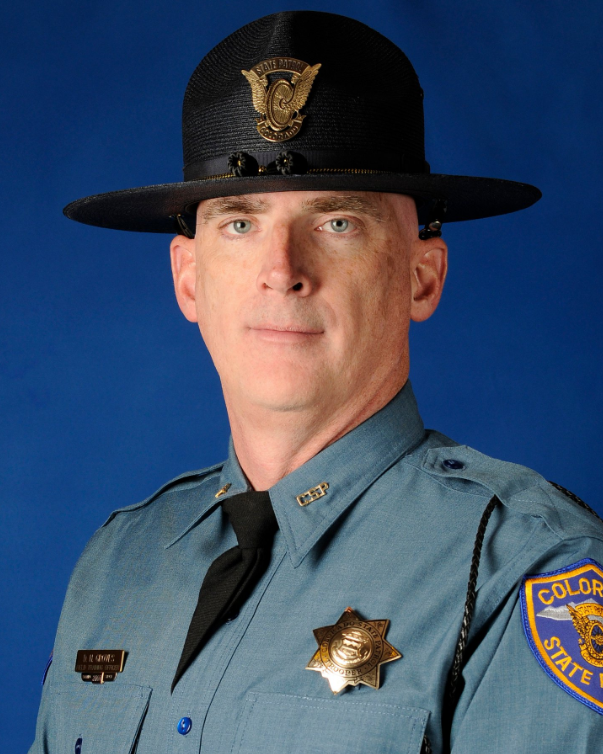 My prayers to your family friends and fellow Troopers. Godspeed. Thank you for your service caporal May you Rest In Peace. And may God comfort your family friends and department. A good officer gone to soon! Prayers for your family! Slumber Well Dan. We will keep the flame of your honor and dedication to duty burning brightly.